I'm sure most people know by now that we have a VM we build and run the OTN Developer Day events based on those VMs. The key to running the events is the Oracle By Example labs. They are a great way to learn the tools and software in the VM. What everyone may not know is all the OBEs are online as well. 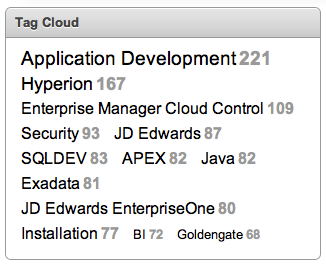 The are runnable anywhere not just in the VM we build. 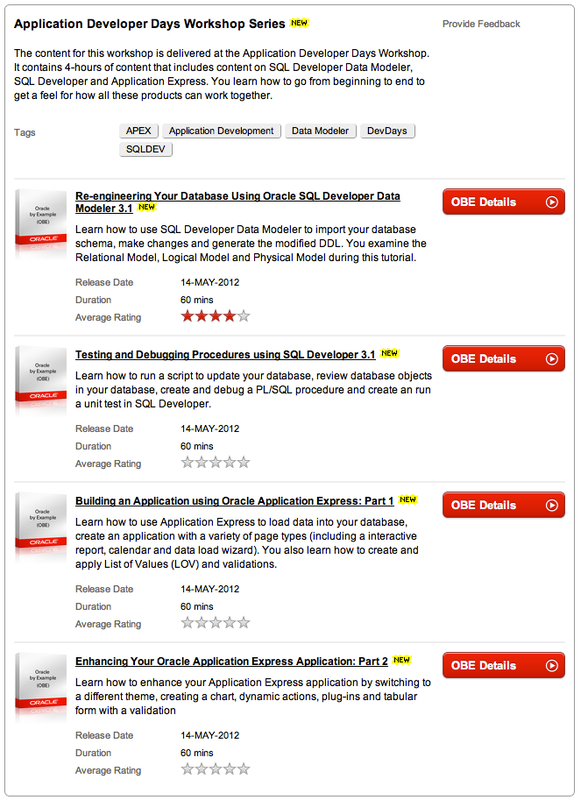 The Oracle Learning Library has TONS of great labs to learn. The labs are tagged to make it very easy to find what you are looking for. The latest addition is something we kicked around and everyone liked. That's a series where the labs build upon the previous lab to learn more than 1 topic for 1 hour then switch to another topic. What we came up with is the Application Developer Days Workshop Series . This series starts in the SQL Developer Data modeler, then writing plsql in SQL Developer, then creating an app in APEX. So a soup-to-nuts idea. Starting from a clean slate and progressing into a functioning application.